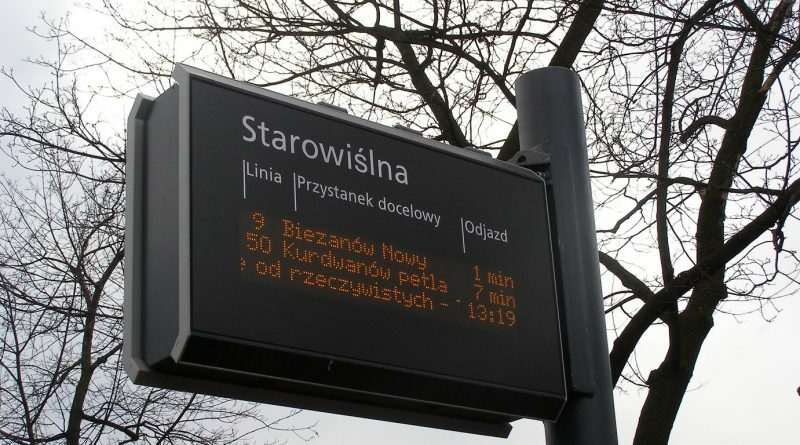 The electronic timetables at Krakow’s pubic transportation stops will begin displaying bus info beginning in October, the city has announced. Currently these signs are only able to display tram data. However, most buses are equipped with the GPS technology necessary to communicate with the signs, and more are being upgraded by an outside IT contractor. It remains to be announced how many buses and signs will be included in October’s change. For now, you can check the timetables for all buses and trams on the wall of the shelters near the stop, or on the website of Krakow transport bureau MPK (desktop/mobile).